Palash or tesu, with their striking hue, are most associated with Holi. The flowers, soaked in water, produce a colour that has traditionally been used to celebrate this festival. Food blogger Sangeeta Khanna, who grew up familiar with the uses of palash in her native Varanasi, makes a Tesu aur Khas ka Sherbet. In the unrelenting heat of summer, one of the ways in which Astrid Rao likes to refresh herself is by drinking a sherbet made from the flower of the palash tree (Butea monosperma). Rao did not grow up familiar with this tree. But when she purchased her farm in Kamshet, near Pune, 25 years ago, she had just read an article by naturalist Winin Pereira, which advocated the propagation of native flora, and so, one of the first things Rao did was take a walk through her land and acquaint herself with it. That is how she became familiar with the palash tree which, even today, stands tall on her land and is, right now, lit up with bright red flowers that cause it to be called Flame of the Forest. Palash or tesu, with their striking hue, are most associated with Holi. The flowers, soaked in water, produce a colour that has traditionally been used to celebrate this festival. For centuries, they’ve also been appreciated for their medicinal uses (as have other parts of the tree, like the bark and the seeds). But like a number of other flowers, such as banana, moringa, rose and marigold, they’ve also been put to culinary use in India, most frequently to prepare cooling drinks. Food blogger and nutrition consultant Sangeeta Khanna says, the flower has a very mild floral taste, with an earthy bitter undertone. Because of this, it goes well with other ingredients such as saunf, khas or mint. “I usually make the sherbet with saunf and khadi sakar,” says Rao. 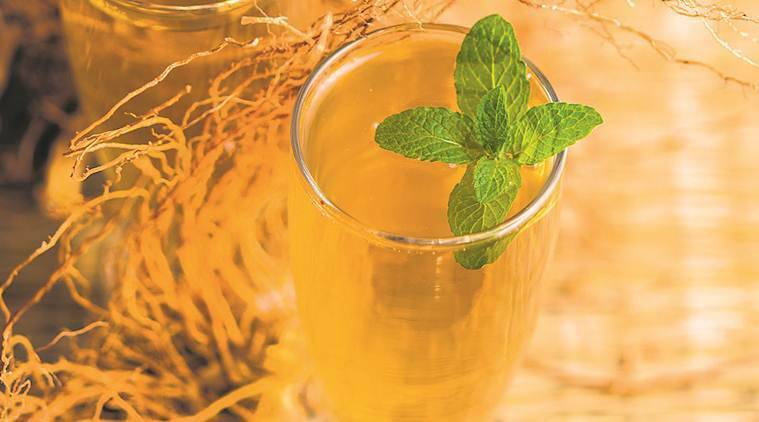 Like many under-appreciated indigenous ingredients, palash has recently caught the attention of chefs, mixologists and other food professionals. Khanna, who grew up familiar with the uses of palash in her native Varanasi, makes a Tesu aur Khas ka Sherbet, which she had once served at a Banaras ka Khana food festival at The Oberoi Gurgaon. “Later Anamika Singh of Anandini teas introduced a tea blend with palash petals,” she says.